A teenage referee who claims he was abused by three grown men durng a match was threatened with an FA misconduct charge after reporting it. 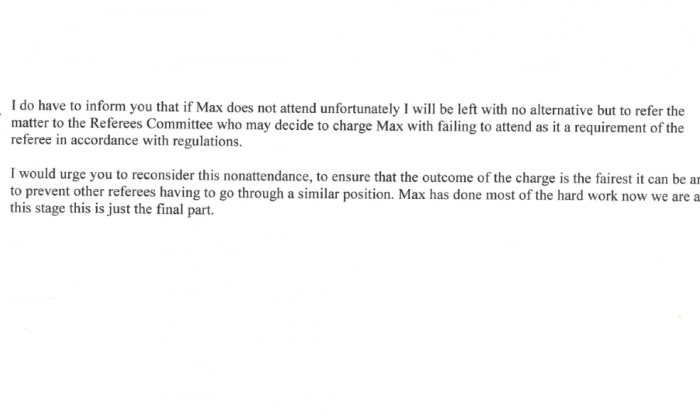 The treatment of 15-year-old Max Ormesher has prompted his father Graham to call for senior officials at Lancashire FA to resign. Ryan Hampson who is an Ambassador of our Charity, intervened on behalf of Max Ormesher, was also charged by the County FA. On 8 October 2017, as the teenager was officiating only his third match, he claims three members of the Lockstock Hall under 11s coaching team continuously subjected him to “abusive, intimidating, disrespectful and very inappropriate” behaviour, which included the manager following him at half time and standing “in my face” questioning his ability. 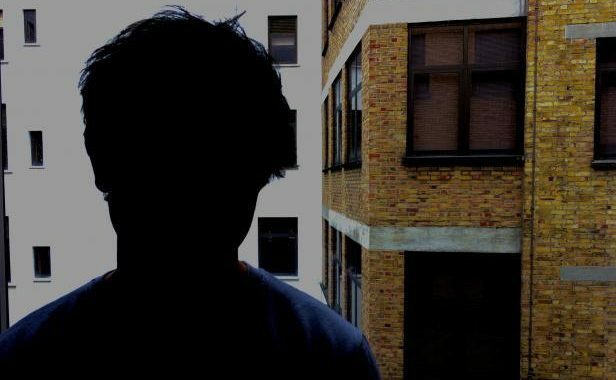 After including the conduct in his match report the 15-year-old was asked to attend a disciplinary hearing and told him his alleged abusers would be present. 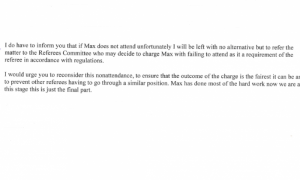 The above image is the email that Max’s farther had received from Lancashire FA Discipline Manager, Hayley Mather. On the evening before the 17th January hearing, Lancashire FA agreed to allow Max Ormesher to appear via FaceTime to give evidence. However, the cases against the three men were found ‘not proven’ as a result of insufficient evidence. 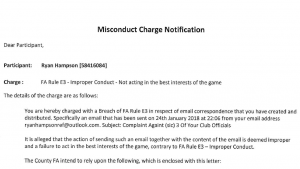 In emails seen by RefSupport UK the County FA admit to Graham Ormesher that a written statement provided by the opposition manager was not considered as part of the hearing. In addition Mr Ormesher, who was on the touchline as his son officiated the game, was not invited to appear as a witness despite offering to on three occasions. Raising his concerns about the handling of the case, Mr Ormesher told Lancashire FA that the panel had allowed the men to “continue to intimidate and abuse young referees with impunity” and should be “ashamed of themselves”. He explained his dissatisfaction to the Referee Development Officer, Lewis Smith on 29th January 2018 but says at the time of writing has not received answers to his questions. The situation developed further when our Ambassador emailed the alleged offenders’ club and Lancashire FA to express concern about the handling of the case. Lancashire FA charged him with misconduct. Our CEO Martin Cassidy described the response as “unimaginable” and insists his colleague was clearly acting on behalf of the charity and not in his role as a match official. Ryan has since officially denied the charge. talkSPORT radio has contacted Lancashire FA for a response after hearing this story and even invited them and TheFA to appear or comment for a live show that was broadcasted on Tuesday 13th March 2018, however both organisations declined this invitation. Since the original news of this story, our CEO Martin Cassidy has made contact with the Discipline Manager at TheFA, Mark Ives about our concerns and TheFA have agreed to look into how the case has been dealt with by Lancashire FA. 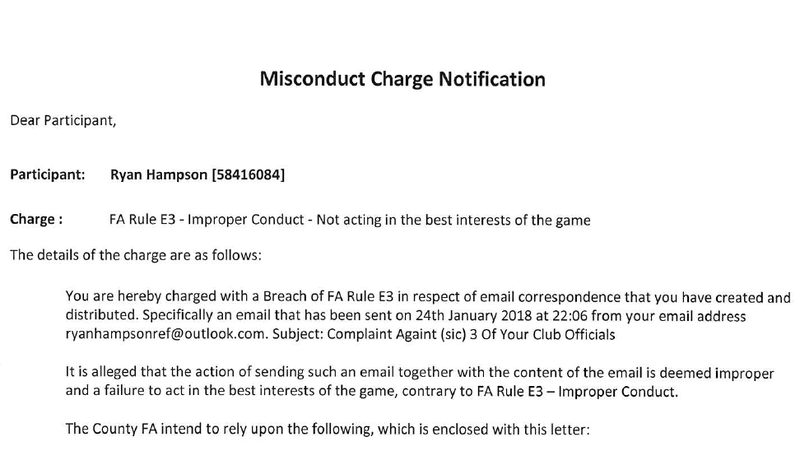 In regards to the charge against Ryan, Martin contacted TheFA who has responded that a decision as if Ryan should be treated as a Participant of the game relating to his charge will be decided by the Commission at his hearing that we believe will take place sometime in April. Posted in Blog and tagged LancashireFA, lovethewhistle, RefSupport UK, TheFA.